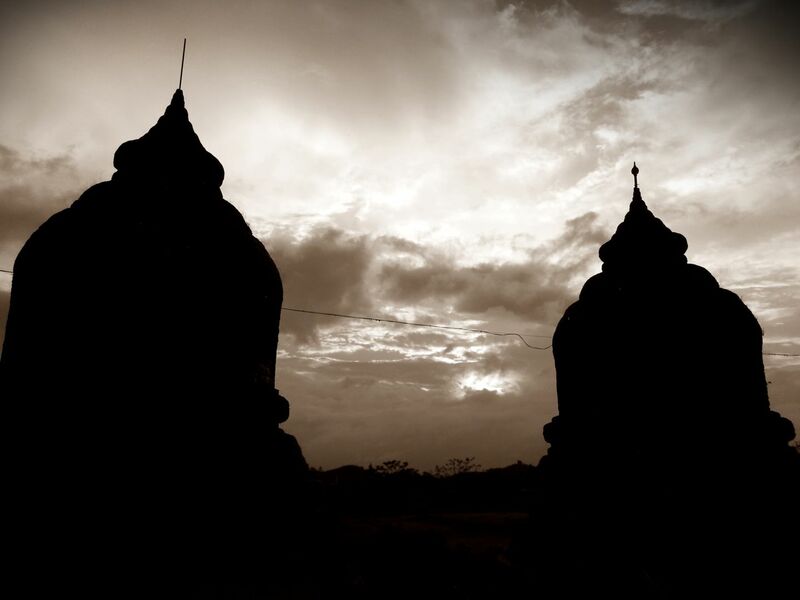 August 2014’s Burma update explores the issue of why countries with a history of Western colonial influence are at a higher risk of genocide. The divide-and-rule tactic of all tyrants of previous epochs had required the creation or exploitation of some specific conflict between warring tribes or groups of men. The novel invention of scientific dialectics, chief among them socialism and ethnic nationalism, consisted in the provision to the ruling clique an ideological ability to modernize and legitimize the millenia-old idiom. Both ideologies allowed scientifically sound, seemingly incontrovertible methods to sell the natural conflict of ethnic or economic social strata independent and irrespective of any specific or tangible social struggle. Precisely because they were so devoid of any concrete referent, they could be projected infinitely into the past, and by this mechanism, social war could also persist (and be exploited) indefinitely into the future, culminating only in the elimination of the “undesirables,” in which case a new, equally menacing enemy was instantly conjured to take the terminated or politically-neutralized group’s place. To accomplish this amazing feat they only needed to convince men that they had an inborn racial, ethnic, or class-identity that superseded their humanity. S. Kiersons, MA. Mephisto (unpublished manuscript). I chose to open this blog with a quotation from my own work because it seemed particularly appropriate this month to take a moment to explore some of the deeper roots of the instability and turmoil that seems to persistently plague Burma (and many other countries) with no end in the foreseeable future. In the past few years we have seen dictatorship after dictatorship, seemingly stable in appearance from the outside, crumble and plunge into the tumult of civil war as if they had never been cleaved together by the iron bonds of their former authoritarian masters. In early August, a visit to Burma by the United States Secretary of State John Kerry was marked by Kerry’s call for continuing reforms toward transparency and civilian rule amid observations that Burma was back-sliding on rights. On August 22 it was revealed that an Arakan group was proposing to Thein Sein’s government the forced relocation of countless Rohingya into guarded detention camps while the United Nations reported Rohingya fleeing Bangladesh and Burma by boat was up 60%. To make matters worse, the government seemed to be stepping up efforts to get the international community to stop using the word “Rohingya” in an attempt to further erase the identity of the Muslim minority. This move signaled the dictatorship was willing to breach international law that recognizes the right of peoples to self-identify. Burma is a dictatorship to the very marrow of its political culture. The quasi-military, quasi-civilian state continues to fight one of the longest civil wars in history. 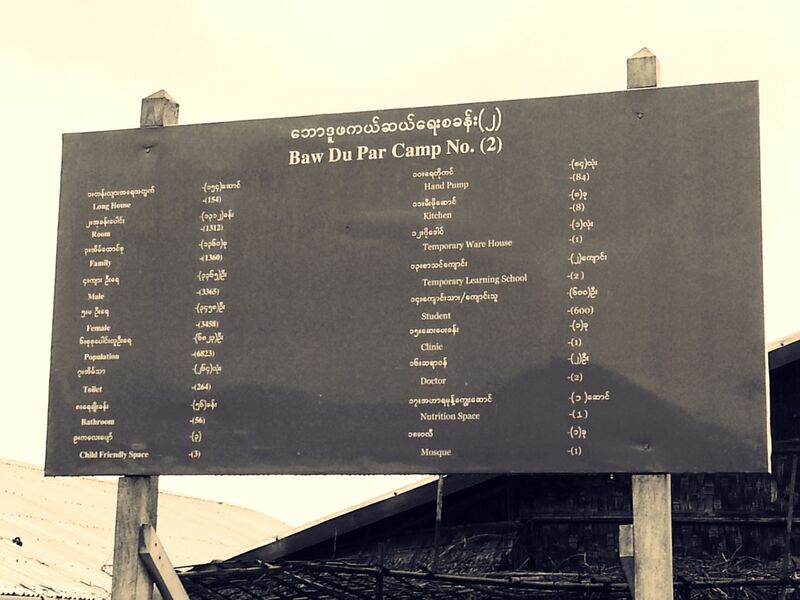 Since the 1940s, the spectre of war has haunted its besieged minorities including Chin, Karen, and Kachin, denying them hope, stability, and the development of civil society. There is an element of truth to the claim that Burma’s dictatorship supplies the ruthless ligature for its continued existence as a state – a glue of dysfunction, brutality, and fear. Burma is not alone. The dissolving of Ba’athist Iraq has resulted in the disappearance of the state in any recognizable form. It has broken apart along ethnic and sectarian lines as anyone familiar with Iraq’s history would have been able to guess long before the current crises emerged. If we performed a thought-experiment with Burma within which its dictatorship vanished tomorrow, a similar fate would be virtually inevitable: the state would divide into its multitude of perceived communities, ethnicities, and religions, fighting wars over this or that historical gripe, territory, or resource. What was it, then, that united the multi-ethnic empires that have been common throughout human history, that would have been recognized by our grandparents or perhaps great grandparents? What was it that caused their downfall – what caused the perception that every imagined community or race required its own sovereign, independent state to represent its “national interests” within the community nations? My research into the intellectual, scientific origins of genocide has pointed to the strange commonality that every “modern” genocide, seemingly without exception, has stemmed in some way from the missteps of modern Western philosophy, from which the modern, “scientific” idea of race and ethnicity was drawn. The idea was powered by the penchant of science for taxonomy, organization, categorization – first, of the things in the animal and plant kingdoms, and then, invariably, of the perceived varieties of human beings. There is of course, no such thing as a biological race or ethnicity – we know now that these are imagined communities on the narrow spectrum of humanity. But the idea of the nation state, thoroughly discredited scientifically-speaking, has persisted to this day sociologically, and in some parts of the world it is stronger than ever. The ideas that led to genocide, and that have been dominant in every modern genocide are Nationalism and Socialism, and they originated in Enlightenment Europe. In Armenia, genocide was largely framed as the last-ditch Ottoman response to growing Armenian nationalism, a movement which traced its intellectual genesis to the West. In Cambodia, genocide was led by French-educated Politique Potentielle or Pol Pot as he became known. In Rwanda, genocide was underpinned by European racial identities imposed upon the Hutus and Tutsis by the Germans and Belgians during colonial rule. In Sudan, genocide and violence stemmed from Western influence in the colonial period which augmented divisions between Arab northerners and non-Arab (largely Dinka) Southerners. The divide-and-rule strategies of historical despots relied on exploiting specific conflicts between ruled groups, but only the Western colonial powers, with the seemingly infallible dogmas of science, and those influenced by them, succeeded in making ethnic identities permanent, fixed, and founded on the idea that all human “races” were in necessary and interminable conflict. But the prime victory of this idea was that it was sold to the masses, not just the ruling elite. Once people believed in an inborn incommensurability with other men, whether by class or race, there was no turning back – every group was at war with every other. These ideas which originated in the West during the Enlightenment and Scientific Revolution have had a profound effect on Burma and explain why dictatorship is perhaps the only way to rule over the state as it exists. The British brought 19th century race-thinking and unknowingly planted its corollary – nationalism. After their withdrawal, and amid the threat of the division of Burma into a Federal State with autonomous ethnic regions, only Nationalist Socialism offered a way to unite the population by dividing it – upon economic lines. The Burmese Way to Socialism was one among a multitude of ways the Western philosophy of social war was adapted to rule nations around the world. Nationalism combined with Socialism would become one of the ultimate political weapons against the masses – because people believed in the premises of equality, liberation, and brotherhood and because it provided them with enemies, internal and external, to assign blame for their nation’s misfortune when the real cause was the ruling clique. Until a federal republic with autonomous states is introduced, or the ideas of race and social war disappear (which one is more likely is hard to say), there can never be a united and democratic Burma. The backslide into authoritarianism and tyranny is only natural to men who perceive themselves to be eternally at war with one another. It is the bulwark against greater civil war and the protection of the racket enjoyed by Burma’s ruling elite.